Attack On Titan, Hajime Isayama’s manga about humanity’s battle against a group of man-eating giants, is currently in pre-production under the title Advancing Titans. If you fancy getting the jump on the film’s 2013 release (and giving your friends a jump at the same time!) 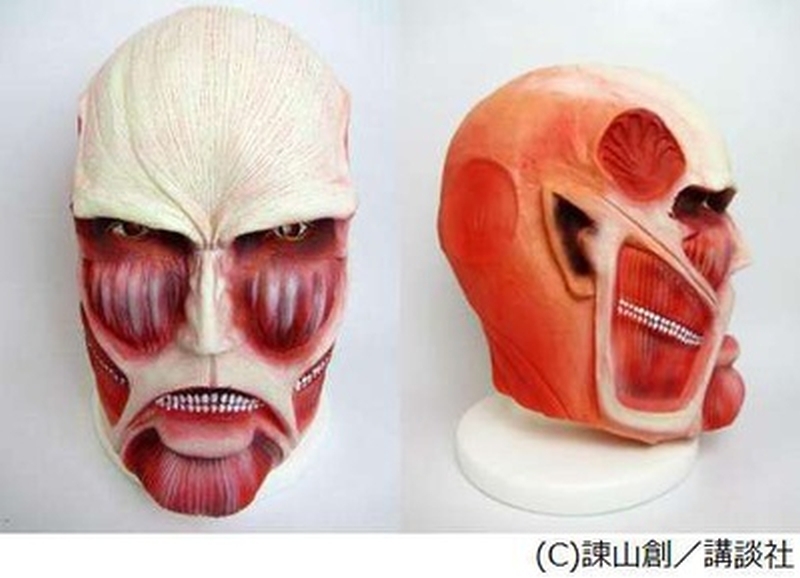 then check out the mask of the book’s creepy, skinned monsters. It’s released in Japan this month in one-size-fits-all and costs ¥5,775 (£45).